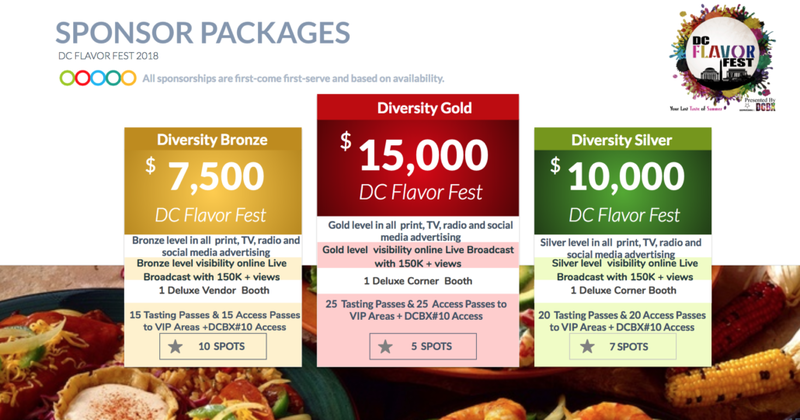 Flavour Fest - DCBX -"Empowering Lives by Celebrating the Global Experience"
We are excited about the upcoming 2018 DC Flavor Fest! 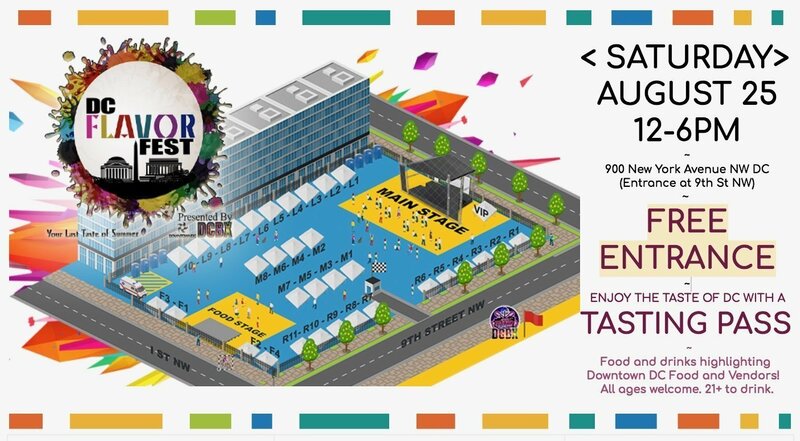 It’s held on Saturday, August 25th for the Last Taste of Summer! 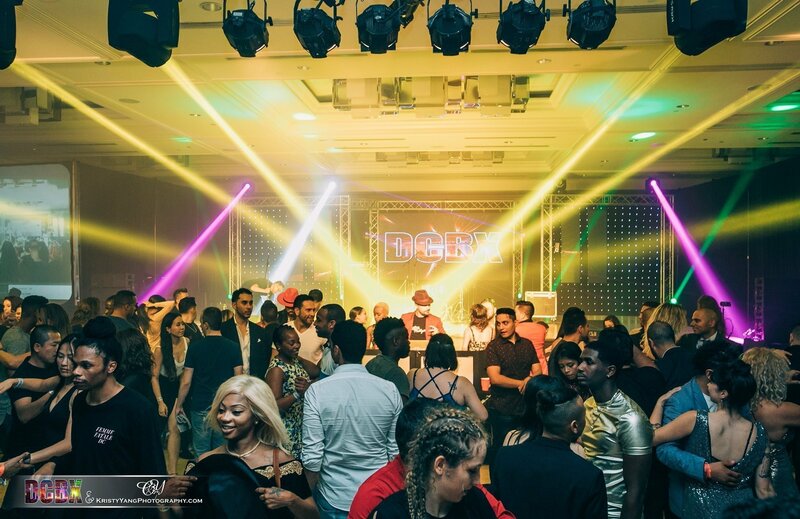 We have some great entertainment lined up through our two stages and multiple activations at booths and special event areas around the festival! We love your interest in being a part of this year’s event and hope you will find our new online sign up a breeze! 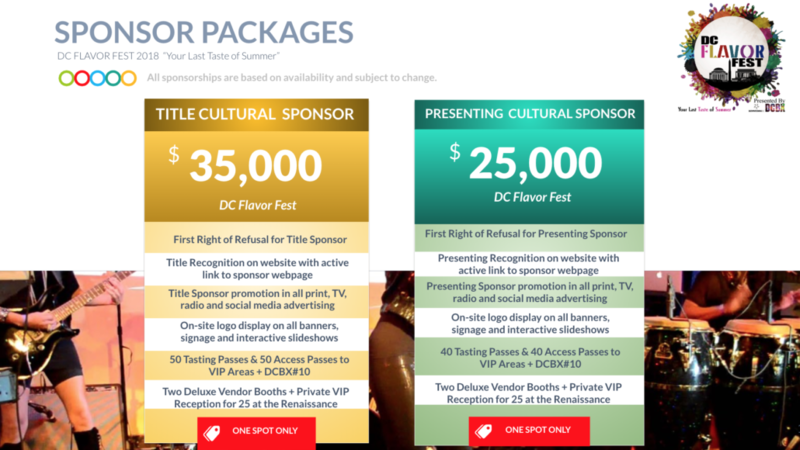 Due to limited space and an overwhelming number of vendors wanting space at the DC Flavor Fest, we will be taking applications and booth placement on a first come basis. Vendors are expected to be open at 11:45pm Sharp on Saturday and stay until the end at 6pm. REQUIRED DOCUMENTS TO BE SUBMITTED TO DCFF AND DC GOV IF APPLICABLE! MUST BE SUBMITTED – NO EXCEPTIONS! – Food Vendors need a health certificate and any other licenses for operating charcoal where necessary. – Set up Saturday before 11:00 am. No earlier than 9am to avoid clashing with stage crew setup. – Clean up and breakdown will be 6pm-9pm. As of June 10th, 2018, we are filling up fast on our vendors. Please submit as soon as possible via our online form. HERE WE GO! THE HOW TO! STEP 2: Shortly after you submit, a representative will contact you with the available booth numbers. Once the vendor booth number is confirmed, a DCFF official Contract will be sent for electronic signature for acceptance and payment link. 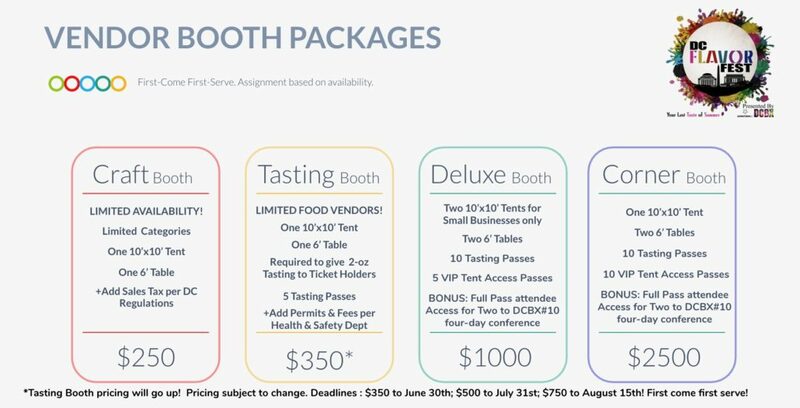 To check for availability before you pay, please contact Brendaliz Cintron at vendors@dcbx.org. Click here to begin your application. A team member will be with you shortly after!